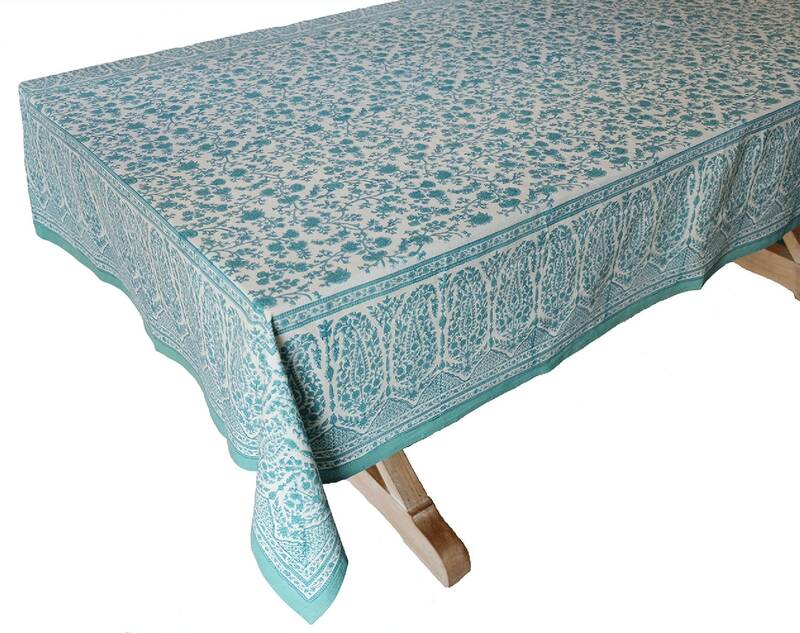 Hand Block Printed Tablecloth - Kashan Flower - 70" x 108"
Dress up the table for any occasion with this great hand block printed tablecloth. 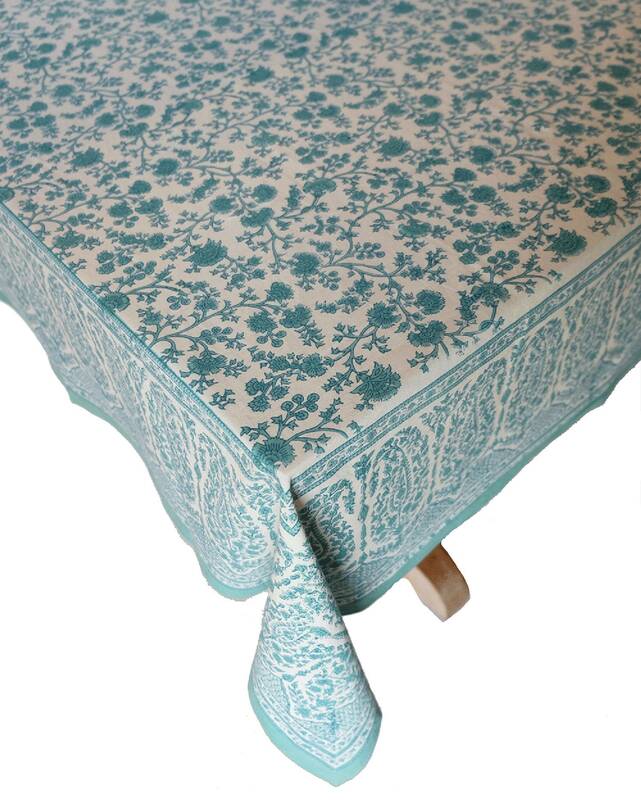 Alternatively this cloth has the perfect dimensions to be used as a single bed spread. Made of substantial weight 100% cotton. Do not leave the tablecloth in the sun for extended periods. Machine wash on warm/cold program. 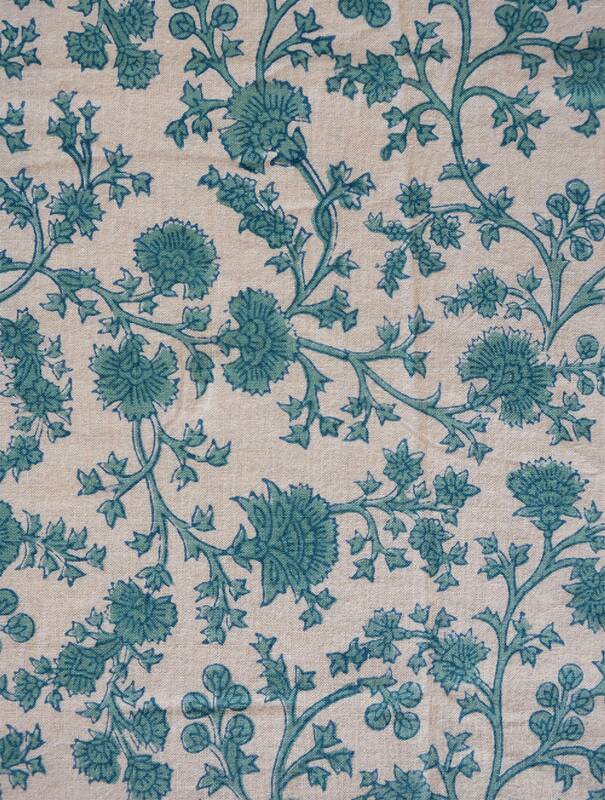 Naturally occurring dye variations are found on all hand printed textiles, making each piece unique.